Why Slate for Roof Replacement? / Blog / Roofing / Why Slate for Roof Replacement? When it comes to roofing material, slate always comes out on top as one of the classic choices. It’s elegant, timeless and gives any house a cozy look and feel. Natural is usually one of the words used to describe slate roofs. It features earth tones and textures, blends well with most architectural styles and gives any property a look that makes it feel its connected to nature. 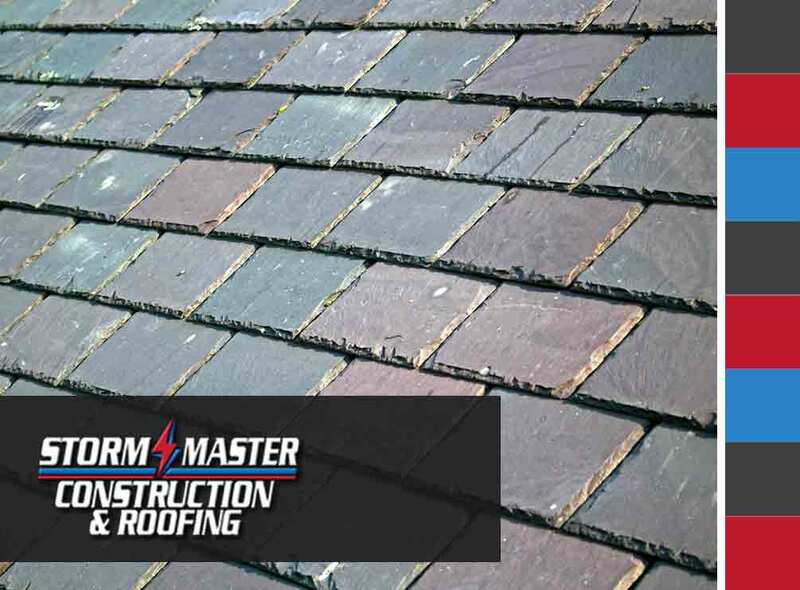 A good roofing contractor will offer slate in a number of colors, so you can mix and match if you’re going for colors of nature. Moreover, these tiles are customizable to fit your specific design needs. Cleaning won’t be much of a problem when it comes to slate roofing. Since it is natural stone, slate is more durable than most manufactured shingles and requires far less maintenance than traditional roofs. It’s waterproof, fire-resistant and non-combustible and can take on the brunt of Nature’s elements. For visible dirt on its surfaces, you can hose the surface down to make it look as good as new. This saves you a lot on roof repair and maintenance work. Slate can take a lot of beating and not break; it’s one of the most durable roofing types available on the market. Since it’s made of natural stone, it also has some of the features of stone, particularly the durability. It can easily last over 50 years. Slate roofing is often associated with classic architectural designs, but it also goes well with modern ones. With this material, you can easily give your modern home a touch of class and elegance, while still being simple and chic. Any high-quality material used for home improvement gives your property more value. Slate does that and more, since it offers aesthetic and functional values. It looks great, protects your house from the harsh elements and boosts property value.